Swedish massage is the foundation upon which most modern massage styles have developed. It is what comes to mind when most people think of massage. It is usually performed on a table with the client under a sheet. The therapist uses oil, smooth gliding strokes and rhythmic kneading with light to medium pressure to relax muscles. Because it is a very relaxing and soothing style of massage, it is great for stress reduction. Deep tissue massage focuses on the deep layers of muscle tissue. Typically used to release chronic muscle tension through slow deep strokes, it aids in the release of extreme muscle tension. It can help alleviate postural distortions that contribute to pain and injuries. It is great for relieving pain and tension in the back, neck and hip muscles, can help in the recovery from injury or to help prevent injuries and, can be used with some fibromyalgia issues as well as repetitive strain syndromes such as carpal tunnel, thoracic outlet and tennis/golfer’s elbow. At times it can be painful or uncomfortable and it is important to stay in communication with the therapist. We can work together on the muscles and tissue so that the maximum benefits are achieved with the least amount of pain. Sometimes when the tension has been there for a long period of time, the tissue becomes numb. The tightest muscles can often have no feeling in them. When this happens, the goal of deep tissue massage is to awaken feeling again so that the muscle will know more what to do as far as how much tension it should hold. 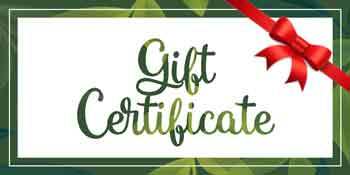 Deep Tissue massage can be helpful for fibromyalgia, carpal tunnel syndrome, plantar fasciitis, tendonitis, strains/sprains, back and neck pain and many other conditions and symptoms. This is a style that incorporates massage, rocking, shaking and stretching to loosen tight muscles, relieve pressure on joints and increase blood flow. Although not just for athletes, sports massage is most effective and widely used for both pre and post-events. To understand what Myofascial Release (MFR) is and why it works, you have to understand a little about Fascia. Fascia is a thin tissue that forms a three dimensional, continuous web throughout the body It is very densely woven tissue, covering and penetrating every muscle and every fiber within each muscle. All muscle stretching, then, is actually stretching of the fascia and the muscle, the myofascial unit. In a normal state, fascia is relaxed and wavy in configuration. It has the ability to stretch and move without restriction. When we experience physical trauma, scarring or inflammation, among other things, the fascia loses its elasticity and pliability. It becomes tight and restricted, becoming a source of tension for the rest of the body. This uneven stress can be transmitted through the fascia to other parts of the body, causing pain and restriction of motion in areas you often wouldn’t expect. Myofascial Release treats these symptoms by releasing the uneven tightness in injured fascia. In other words, Myofascial Release is stretching of the fascia. The stretch is guided by feedback the therapist feels from the patient’s body. This feedback tells the therapist how much force to use, the direction of the stretch and how long to stretch. Small areas of muscle are stretched at a time. The therapist may use their entire hand or may use only two fingers to stretch a small part of a muscle. Each Myofascial Release technique contains the same components. The therapist finds the area of tightness. A light stretch is applied to the tight area. The therapist waits for the tissue to relax and then increases the stretch. The process is repeated until the area is fully relaxed. Then, the next area is stretched. Manual lymphatic drainage (MLD) is a type of gentle massage which is intended to encourage the natural drainage of the lymph fluid from the tissues space body. Lymph returns protein and excess interstitial fluid to the circulation. Lymph may pick up bacteria and bring them to lymph nodes where they are destroyed. Metastatic cancer cells can also be transported via lymph. Lymph also transports fats from the digestive system. The human body maintains life and health by maintaining a balanced internal environment called homeostasis. Every day, life situations threaten to disrupt this balance. Physical traumas, strains and even emotional stress undermine this balance. This imbalance leads to aches and pains that, left untreated, may result in dysfunction. Ischemia or lack of sufficient blood supply to the soft tissues. This can be caused by tightness in the muscles that may be found in stressed, tired or overexerted muscles. Nerve compression, this is pressure on a nerve by bone, cartilage or soft tissue such as muscles. As tightness increases, more pressure is put on the nerves sending pain signals to the brain. Trigger points occur when nerves fire impulses at a rapid speed into an area of the body other than the area that is injured. This may be caused by small local tightness in muscles. Postural distortion. If this is caused by an imbalance in the muscular or other soft tissue systems, it may be helped with neuromuscular treatment. Biomechanical dysfunction is an imbalance of the musculoskeletal system resulting in faulty movement patterns. An NMT therapist will palpate tissues to determine what issues are at work to cause your pain. This is a therapeutic massage method as opposed to a relaxation massage, although many times your treatment will contain components of both. In the therapeutic part of your treatment, appropriate pressure will be used depending of condition of tissues and client. Trigger points are knots, lumps or strings of muscle tissue that are the cause of most muscle pain and dysfunction. Some trigger points may be obvious to a person in pain but most are not noticed until direct pressure is applied to them by a skilled trigger point massage therapist. Often when a trigger point has pressure applied to it, it will refer pain to another area. The ones that you feel an immediate sensation with are called active trigger points. The trigger points that you don’t notice until pressure is applied to them are called latent trigger points. Often the area of your body that is in pain is not the cause of the problem but only a symptom. Trigger points in other areas of the body are usually found to be the cause of such pain. The body has over 200 pairs of muscles in which trigger points can be found which can be the cause of sports injuries, chronic pain, depression, muscle tension and fatigue. They are related to diseases such as fibromyalgia and other myofascial (muscle pain) pain syndromes. Trigger points are not the same as Shiatsu or acupressure points which are points along the meridians of the body. They are also different from tender points which are usually ‘soft spots’ in the muscles that create pain. 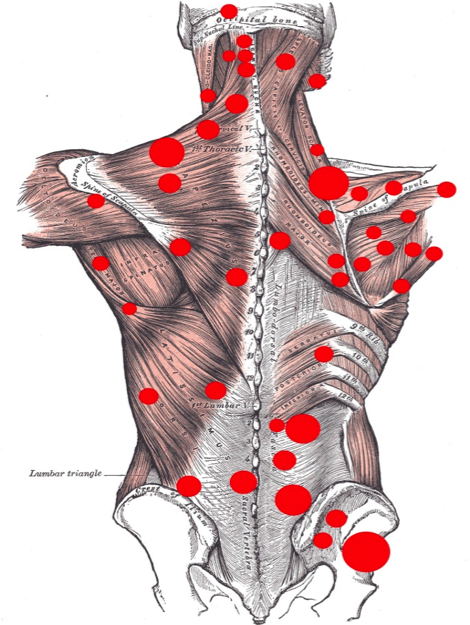 Myofascial trigger points can also be the cause of emotional distress. When we carry pain around with us all day it requires a lot of energy. Releasing trigger points can also relieve some of the emotional stress. Trigger points can be the cause of headaches, fibromyalgia, TMJ, insomnia, sciatica, heel pain, muscle strains and many other health conditions. While there is much research and information on trigger points, there is not one widely accepted answer. They can begin forming when there is an injury or sustained load on a muscle. Postural distortions in the body can lead to increased strain on a muscle leading to the formation of a trigger point. Repetitive movements can overload muscle. Even though sitting at a desk does not seem like strenuous work, it does require that your muscles be strong enough to hold you up for that amount of time without moving much. There are a few different methods of treating trigger points. The use of direct pressure on the exact points can help reduce the pain in the trigger point which allows the muscle knot to start relaxing and resume proper functioning. Because of the body holds muscle memory, it often takes a series of sessions to completely relieve pain caused by trigger points. Most of our massages use a combination of Swedish, Deep tissue, Neuromuscular, Myofascial Release, stretching and other modalities. These techniques are chosen by the massage therapist depending upon the muscle condition, comfort level, tissue response, personal preference, dysfunction level and intended goals. The therapist can smoothly switch techniques as the conditions warrant and most often the client is not even aware that a change has taken place.